Turkish hand woven vintage unique kilim rug 8,2x5,1 feet /98x62 inches / 250x158 Cm Cm Origin: Turkey-Köprübaşı Material: wool on wool They made from wool on wool or wool on cotton. They are unique and natural dye. 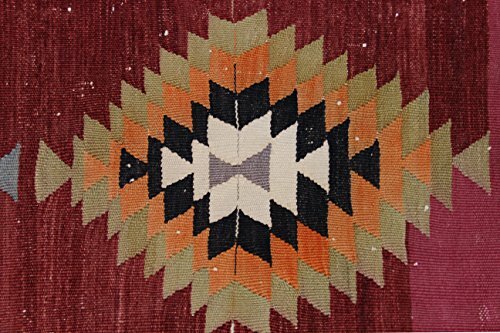 These kilim rugs are old and used, we restored items (Every items checked for have damage,hole or wear Then we washed natural shampoo and make repair true the original; means use same colour and quality wool, last step make special ironing for take smooth shape) We give gurantee and certificate this item is unique and handmade. Care: Only Dry clean. Please note that colors may vary slightly on different computer monitors.